I love Ocasio-Cortez…politically. DNC Chairman Tom Perez called her “the future of the Democratic Party”, but I think she’s much more. She’s the present and the future of the Democratic Party. And that’s not good for Democrats. But that doesn’t stop Leftists from trying to convince America that AOC is the second-coming of Obama. We all know how that idolatry turned out. Because of Obama, Democrats got crushed in two midterms. Next, they lost over 1,000 Democrat seats to Republicans during his tenure. Further, Obama’s legacy has been buried in the plush new lavish American economy. Yet, like with AOC, Democrats still pretend to love the man that led to their worst nightmare: a Donald Trump presidency. I love Rick Moran’s take on AOC and her treatment. Interestingly, you don’t need any of AOC’s actual ideas around legislation to come to this conclusion. The very thing Conservative fight against at this moment is the tyrannical government that AOC fully supports. If you think she misses the irony, you get no prize. Because missing the irony is AOC’s specialty. Actually Strassel did post an 8th tweet. But it referred back to her laughing at her first tweet. I’m not sure if Strassel is being serious about “extend credit”, and the “new public banks”. But given the crazy things AOC has said in the past, I believe she actually said this. Aside: Cory Booker supports Ocasio-Cortez’s Green New Deal. 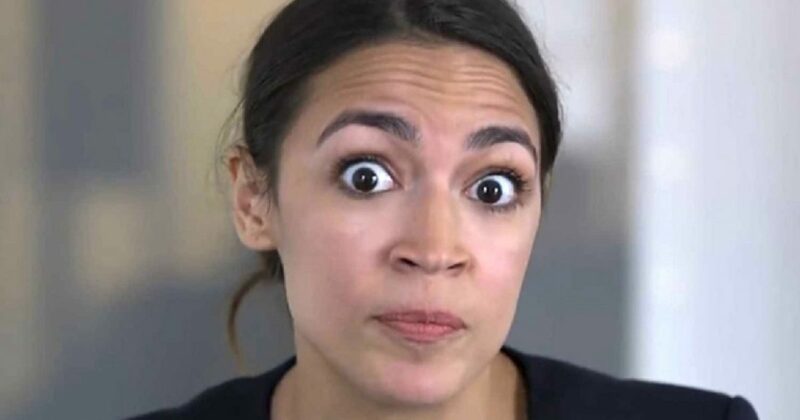 Back to AOC, as she gets more insane when discussing ICE. The Office of Management and Budget’s 2010 Census Brief defines “Hispanic or Latino” as a “person of Cuban, Mexican, Puerto Rican, South or Central American, or other Spanish culture or origin regardless of race,” per NTK Network. Forget that AOC apparently has no idea about so-called Native Americans, aka Indians. She seems to lump Latinos in with the pre-Columbus indigenous peoples. As it turns out, AOC can’t seem to understand who she is. If you’re confused by AOC’s comments, don’t feel bad. She’s confused by her comments. But remember Perez’s comment: Ocasio-Cortez is the future of the Democratic Party. He who lives by the lunatic, dies by the lunatic.